After realizing the success there is to be had in the SUV market, Jaguar has wisened up and opted to expand its offerings the segment. The F-Pace, introduced in 2016, has become the brand's best-seller, and now the British marque is looking for more. The company debuted the new, smaller E-Pace crossover in London Thursday. The new car is aimed towards the German Mercedes-Benz GLA, BMW X1, and Audi Q3. With success on the brain, it could soon become a breadwinner for the freshened brand. 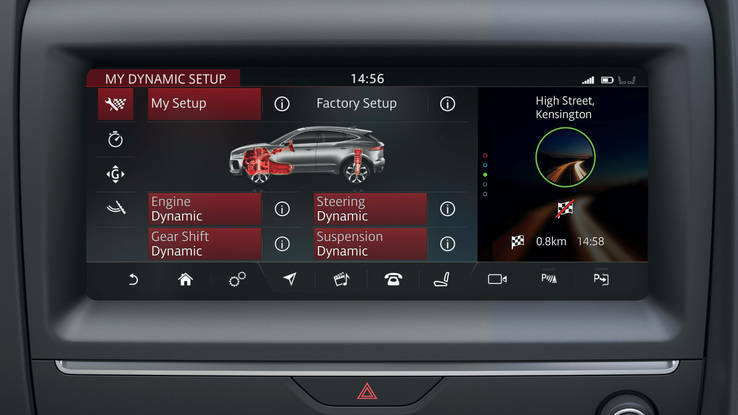 The E-Pace was unveiled to a massive gathering in London on Thursday with Jaguar putting on a show for the audience. In a successful first attempt, the compact crossover launched off a ramp and completed a full barrel roll onto a dirt-banking—quite the way to start off a debut, isn't it? The performance set a Guinness World Record and set the tone for the rest of the debut. The new model takes all the right bits of Jaguar's other top models including the F-Type and big brother F-Pace. Amidst all of these alphabetized selections looks to be a diamond, combining what the Brits do best and the things the Americans like most—style and practicality. The car's interior shines in both the style and accessibility categories. Cabin design is sport-themed with bucket seats and sleek color themes, both of which match the tech-frenzy located in the center stack. 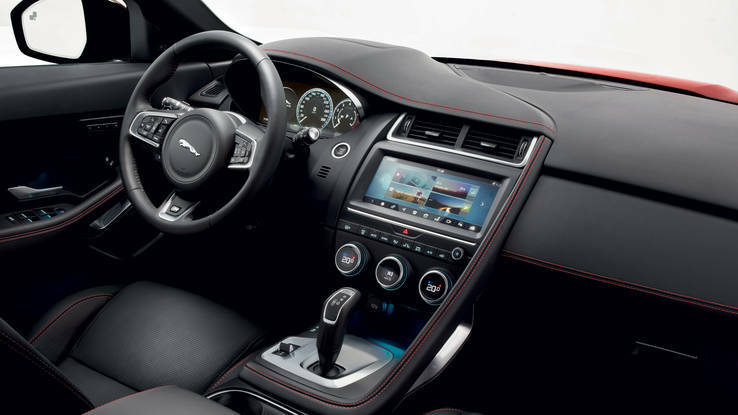 A 10-inch infotainment screen shines bright with loads of convenience features and apps like Spotify and real-time navigation, and when paired with the optional 12.3-inch digital gauge cluster, it feels like Jaguar has fully leaped into the current generation of contemporary form. 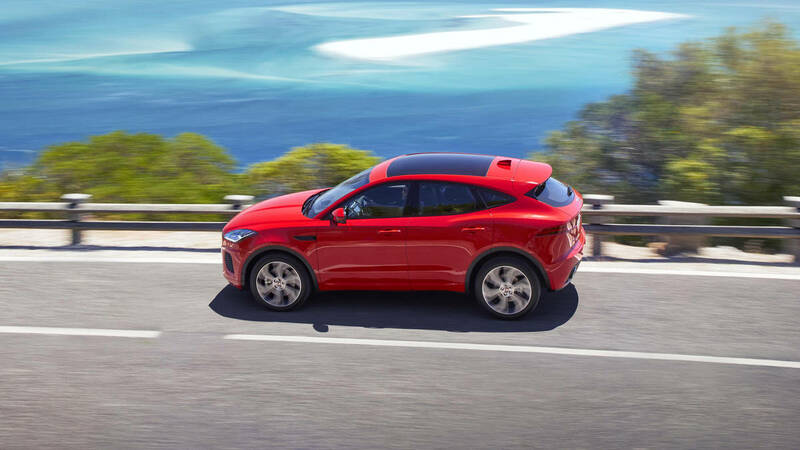 As for the U.S. market, both of the E-Pace trims we receive are powered by a 2.0-liter turbo four. It produces 246 horsepower and 269 pound-feet. in standard spec, but takes a hike to 296 HP and 295 lb-ft. in the R-Dynamic model. 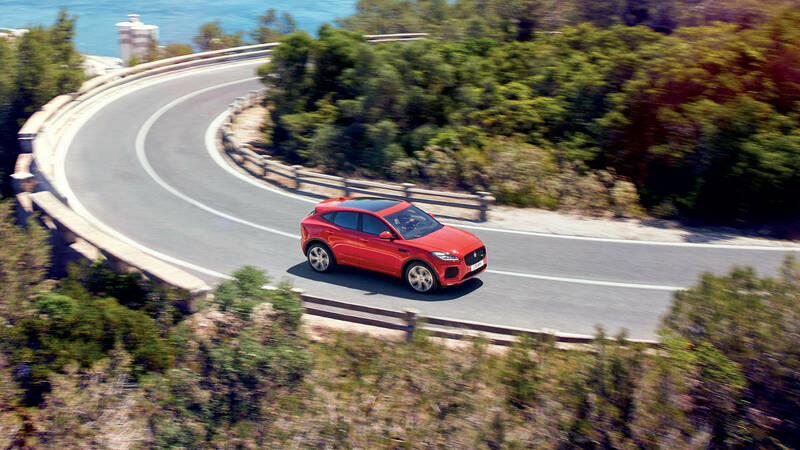 All-wheel drive comes included on every E-Pace Jaguar will sell, making for a nifty bit of utility to match a performance-oriented drivetrain. Entry pricing begins at just over $38,000 with the ability to boost things all the way up to $53,550 with the exclusive First Edition trim. Jag's small crossover will arrive early next year, starting well under $40,000. Jag is putting the E-Pace through the rough. The mini F-Pace will reportedly become Jaguar's entry-level model. The days of moot concept car designs are on their way out.